Then I must give my wings a good shampoo, fluff them up and practice my protective hovering! ...and the halo...don't forget to polish the halo! Indeed.You'll have to be the smartest guardian angels! Halo? Oh, but that's a permanent fixture. and practice my protective hovering! Yes, well .... ahem, had a few nose-dives there and a few feathers fell out of their sockets. But I've stitched them back on (finest silk gossamer thread, naturally) and think I've got this hovering lark sorted now. I will, Ivy, I will. 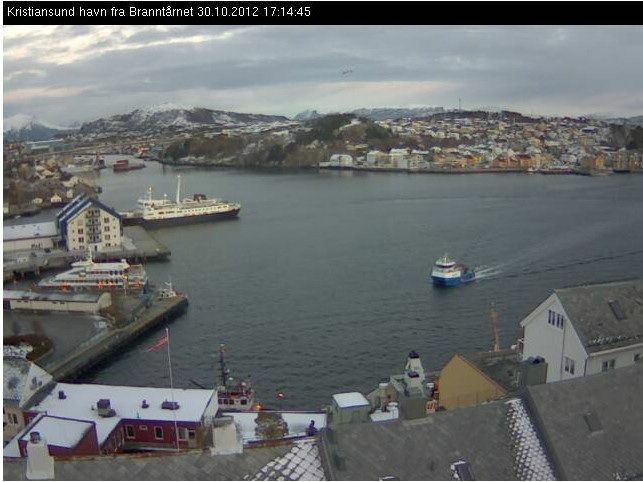 So excited for you Yves...I've just been watching Lofoten arriving in Kristiansund on the webcam! Lofoten left Floroe right in schedule. Looks loke calm weather for the next days, not too cold and clear nights between Trondheim and the Lofot Islands. Winds are coming from the south. I don't know, what this means for waves and polar lights. Maybe the experienced Norwegian friends can explain? I was, and I still am, so sorry I had to work last weekend when Yves passed by Bodø. Due to a big handball-tournament and event in Bodø, I was asked to be a bus-driver to transport teams and handball-players between several arenas, airport and hotels. At saturday november the 3`d that ment about 10 hours work. So there my meeting with Yves was gone, I thought. 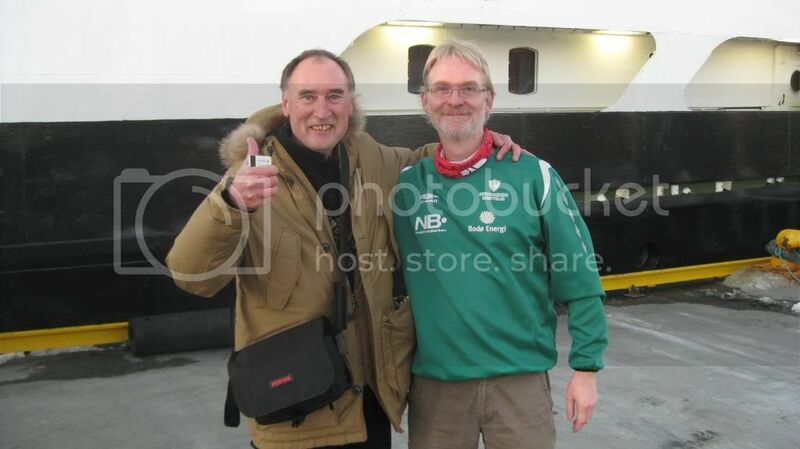 But when I found out that 2 handball-teams from Lofoten wanted transportation to the Northbound Hurtigrute, I brought my compact-camera with me in my pocket just in case I stumbled into our friend "yvneac". And STUMBLED in to, is the right word. Because all of the sudden whe "stumbled" over each other in the stairs oboard Lofoten. I was helping to carry some luggage on board. And I was so surprised when someone suddenly asked : Martin????? I even forgot to to speak English. But there was an emediate connection. We got some very few minutes to talk. Few, but very memorable an valuable minutes to me. I have a few pictures from our meeting. And a few pictures of Lofotens departure. I will wait to Yves are going to post HIS pictures. But I can`t wait to post these 2 pictures here. Great story Martin! So nice that you were able to meet with Yves! Those pictures will be a treasured memory for him, I'm sure (the last one is so perfectly framed!). Martin, though brief, what a wonderful few moments those must have been for you both. And to think that they almost didn't happen! It is a nice story indeed! Back to Caen after a whole day in Paris for the Edward Hopper exhibition in Grand Palais. Great but I need to return since I confess that my mind was still on the Lofoten wing bridge. I shall class and make over my photos as soon as possible, not before next week I guess. A voyage aboard Lofoten is really different. Due to her low waterline one can have a physical contact with the sea and appreciate (or not!) its many whims. We were Lucky to have all kind of weather: rough and smooth sea , sun and rain, blue light, snow at Kjollefjord and Berlevag, in fact the whole Norwegian range of November except big storm and northern lights. I must come back. Last but not least two very friendly meetings with Martin and arcticGateway . Thank’s to them for this warm welcome. So nice to hear you are safe back home. And also nice to hear your voyage was THAT successfull. 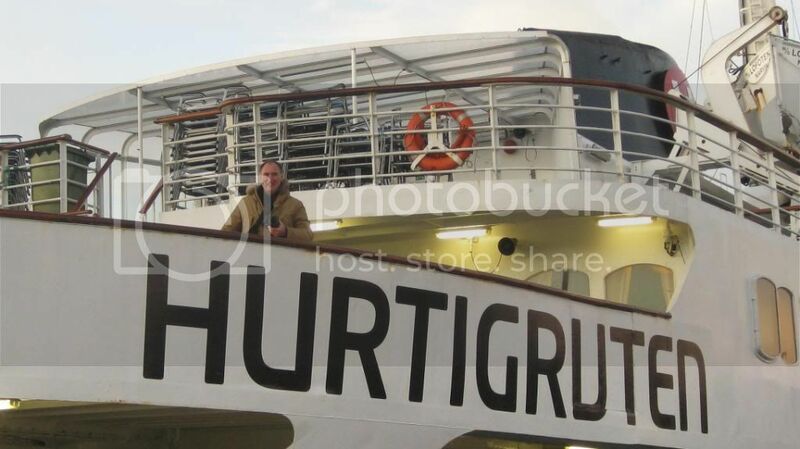 That give me a good feeling you will return to Norway and another voyage in near future. And I am quite sure we will meet again.